During his teenage years he became the selector for Black Star Line soundsystem, then known as Junior Melody he took part in several singing competitions and talent searches in and around St. Thomas. Gaining a strong local fan base Junior Melody began to sing dub plates for local soundsystems such as Lees Unlimited, Mello Construction, King Majesty and others. The rave reviews from the sound selectors and the people of his community encouraged Junior Melody to take his talent to the next level, the studios of Kingston Jamaica. The place to be if he wanted to make a name for himself in the reggae business. These where hard times for Junior Melody, traveling to Kingston is a seventy mile return journey. Being poor he would have to hitchhike most of the time, sharing one bulla and a bag juice with anyone of his friends that dared to make the journey with him. (Bushman later recorded a song relating to this period of his life, Titled Life ain no bed of Rose). The hard times did not deter him from seeking his dream. After many month of traveling to Kingston and waiting around at the studios. It was during an impromptu game of football at Arrows Dub plate studio where Junior Melody met Steely and Clevie. Steely commented that Junior Melody was not to good at football, Junior Melody response was can sing thoughin hearing that Steely prompted him to sing something. Right there in the yard Junior Melody sang, Steely immediately invited him to audition at Studio 2000. Their first song together was row Your Natty an outstanding debut, Swiftly followed by the hit all The Hearse With talks of an album Steely wished to change the name Junior Melody to Bushman. Initially the singer/song writer was not happy with this name at all, he thought it some how derogatory to him coming from the country, until he researched the name only to discover that Bushman was an Afrikan name for Medicine Man Bushman became the musical Medicine Man Bushman has been full filling the meaning of this name to date. All The Hearsebecame a big hit in Jamaica and England, after which followed some live dates. Bushman received a rapturous welcome on a short US tour followed by more live shows in Jamaica. Bushman was to see the release of his first album yah Man Chant (Greensleeves) during the year 1997. yah Man Chantearned a five star rating all over the world, with comments such as set of tunes that are both inspired and inspiring. stopped listening to individual tracks about halfway through the CD as I realized that ayah Man Chantis good till the very last drop. Burninp; The Journal 5/7/97.adding five stars. yah Man Chant as now earned its selfa place in the realms of Greensleeves Reggae Classics. Bushman newly enriched creativity made him a much sort after artist both home and abroad. However it was the famous King Jammy (Lloyd James) who produced the next two albums following by Bushman. The first being Total Commitment (Greensleeves) With a combination of Bushman year out, and the mutual respect between artist and producer the results brought forth a more mature and focused second album. Total Commitment took the reggae music business like a stormy inferno. With tracks like ire Bun a Weak Hear ta big hit! abylon Dead ive Your Life Right and many others. Just seven weeks after its released Total Commitment was #7 in the US album charts, also gaining #1 in Finland. 2001 saw the release of Bushman third album higher Ground(Greensleeves). A charming piece of work from Jamaica finest, producer, singer/songwriter and instrumentals. With tracks like add Away Home giving you Bushman in his finest smooth bar tone, alongside the well renowned saxophone player Dean Frazser. our Lovea song inspired from his personal life and a big favorite with his fans across the globe. This album consists of hit after hit bringing you songs titled ire Pan A Deadas love of The Heartand ake A Change Songs with lyrics to provoke critical thinking about politics, diet, life style and the current state of the world today. Bushman pleases his fans again. Better Place a fourth contribution from Bushman. For this album Bushman teamed up with English based Stingray. It took Bushman 2 weeks to write every song on this 15 track album, which was released at SOB New York, in October 2001. This album host a liveication to Bushman mother track 14, amaill My Cupis a testament to the life and achievements of Bushman. Again the outstanding lyrics of each track will carry you to higher and higher levels of enlightenment, leaving you feeling strong and ready to bring positive vision to reality. 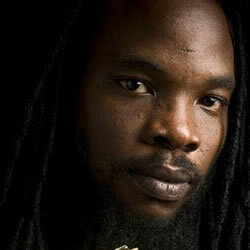 Aside from these four great albums Bushman has a selection of singles such as Life Ain't No Bed of Rose Jerusalem School Room xtortion sunshine here are Your Clothes frikan Women and many others including a combination medley with Morgan Heritage, truly Great another great hit around the world. Bushman as recently enjoyed his first major tour of the US, with the Kings of Kings Family. Bushman was the headliner for the tour with the awesome job of closing every show. Bushman was delight with the response he received in the US hosting sellout shows in cities such as San Francisco, Durango, Seattle, New York and Canada. Every venue where Bushman preformed promoters have renew their contracts for further shows. This tour was followed with a dynamic sellout second tour of Europe. Where Bushman preformed for the first time in countries such as Germany and France, all shows where a total sellout, making Europe Bushman largest fan base to date. He will be returning to Europe in June/July 2002 for the big festivals. Bushman has also performed in most if not all the Caribbean Islands, he also gave an outstanding performance at the Nevada World Music Festival, June 2001, and he stormed the crowd for the first time at Bob Marley day 2002. Despite the everincreasing recognition of his talent Bushman remains a humble down to earth figure, who still lives in St.Thomas with his wife and children. Joying in the frequent trips to the lush bath fountain where they bathe in the hot mineral water. Living a life style of strictly ital foods and juices. Yes Bushman leads a humble but enlightening life in his birthplace parish of St. Thomas. Bushman with his natural talent for singing, is an outstanding artist carved from the same iritical musical tradition as Bob Marley, Dennis Brown and Luciano (with whom he has a very close relationship), who he quotes as being his most dominant influences. With his dynamic lyrics, Superb showmanship and classic performances, the Rastafarian known as Bushman is an artist with which to hold a joy with, and a force to be reckoned with. During the month of March Bushman filmed his first video for a single Titled tight House for the Hart to Hart production. The video was filmed in Bushman home parish St. Thomas; the location was the Landmark lighthouse, situated at Morant Point. At present Bushman is producing a live album, with the executive support of Kings of Kings Iley Dread AKA Collin Levy. An album not to miss!